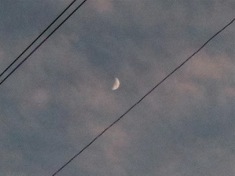 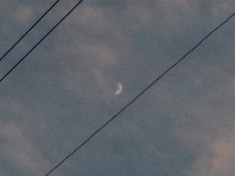 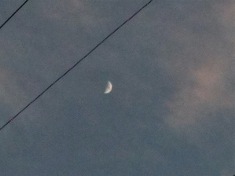 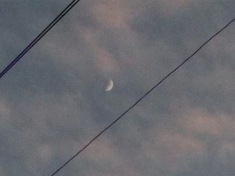 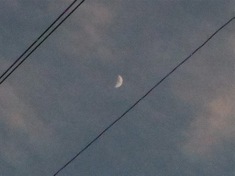 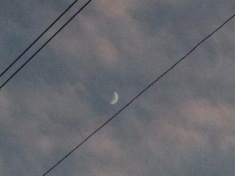 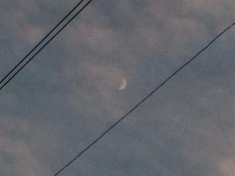 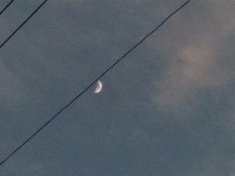 First sight of the new crescent, back garden, looking up through the telephone wires to a violet sky. 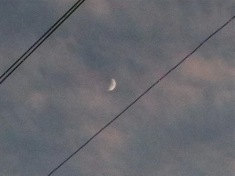 Fresh wind gusting in from the west, twanging the wires. 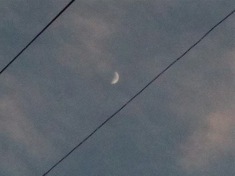 New moon, Tuesday 10 April.